The next sitting of the National Assembly will be July 18 and on the agenda will be a number of potentially contentious items, including the Motion to enable the Government to finance the Amaila Falls hydro project and a Bill to ensure that the land surrounding the project site is protected. 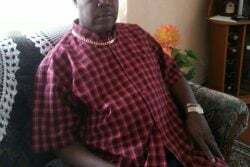 Following an agreement between the two Whips, the House at the last sitting adjourned to July 18, 2013, according to Clerk of the National Assembly Sherlock Isaacs. He said that the Whips did not share their reason as to why they agreed for the sitting to be at that date. There are a number of pressing issues on the Order Paper. The House had on June 27 deferred consideration of a Bill and Motion addressing components of the Amaila Falls Hydro project. The Opposition said that they wanted more time to consider the provisions of the motion and the Bill. Clause 3 of the Hydro-Electric Power (Amendment) Bill 2013 confers on the President the power to create the Hydro Electric Offset Reserve area. It also increases the penalty to $1 million for the breach of regulations made under the Act. This legislation is in response to Inter-American Development Bank environmental standards for hydroelectricity power generation facilities. 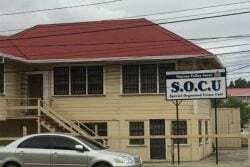 Meanwhile the motion seeks to increase the limit on total guarantees that can be issued under the Guarantees of Loans (Public Cor-porations and Companies) Act from $1 billion to $150 billion or approximately US$730 million. This motion is intended to guarantee that Guyana Power and Light is able to purchase the power that the Amaila Falls hydroelectric facility will generate. 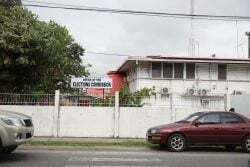 It is unclear whether the Telecom-munications Bill and the connected Public Utilities Commission Bill will be debated and passed this go round since they have been repeatedly deferred to allow Government to continue talks with Digicel and the Guyana Telephone and Telegraph.